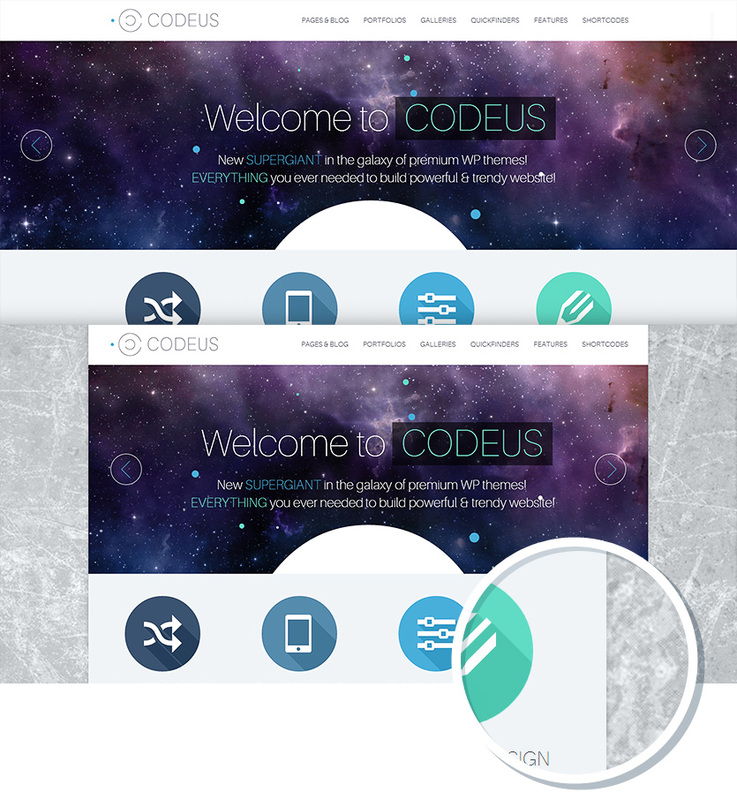 You can use Codeus in wide or boxed layout variants. Wide layout is perfect for you, if you like airy websites, with no visible borders or page edges. Boxed layout comes with different ready-to-use background patterns & images, or you can define any color you would like to use by simply picking it with Codeus colorpicker.